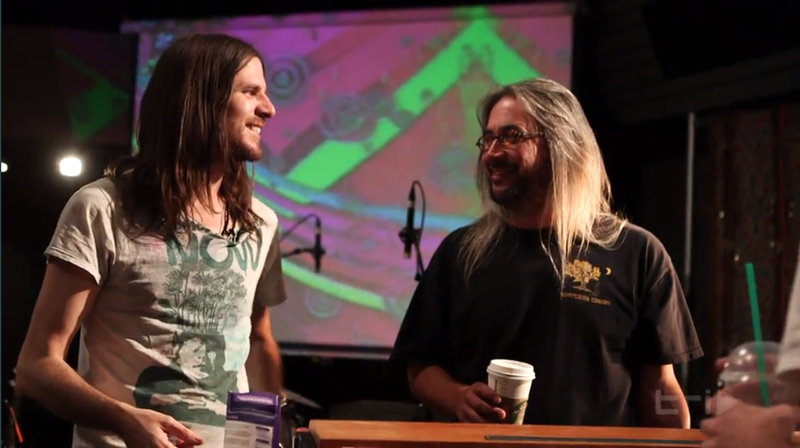 Recording Jonathan Wilson was a great experience for me. Using a combination of the Neve Melbourne and our API Vision in conjunction. His record is very warm and everything good that comes from analog. I used our telefunken collection and a few classic microphones for the session. The mix is live from the API with the API 2500 bus compressor. Probably could of been slightly louder and brighter before going to web but I think it was a good representation of this band. Amazing musicians. Watch the clip here. Enjoy. 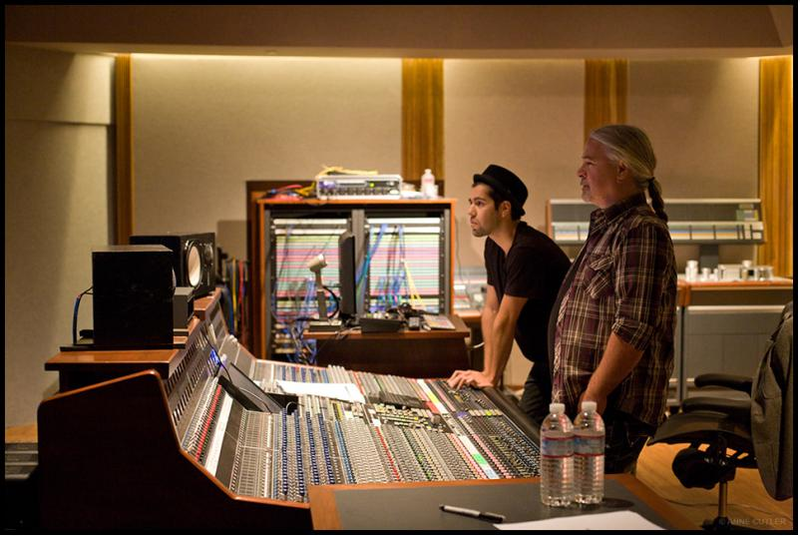 Here’s a great pic Anne Ramsey Cutler took of myself an Mike Fraser at TRI Studios on the API Vision console. Mike mixed the show, I engineered and mixed Q & A and outro segments.